After seeing their work – we knew we had to have them! From the very beginning, my husband and I fell in love with Colleen and Greg. When we first met them, we felt right at home and so comfortable, and after seeing their work – we knew we had to have them! Colleen & Greg did our engagement photos in the dead of winter, in the snow, and made it so fun despite the chilling weather! All the photos they took from the rehearsal dinner to the wedding day were exquisite, and the edits and attention to detail were perfect. Anyone who does not choose Solas Studios as their photographer is truly missing out. Their value, responsiveness, and high quality work undoubtedly goes unmatched in their area. We would pick them again in a heartbeat! We can not say enough about Colleen and Greg. They are simply awesome. 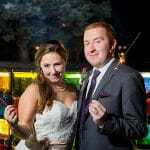 They met with us on several occasions before our wedding and took the time to get to know us and our style. The prints and the album are spectacular. They were very receptive to suggestions and request for poses & locations. We didn’t even know they were there while they captured our day. They are not overbearing they simply capture every moment. We would highly recommend them. So happy we went with Solas Studios! Being a photographer myself it was no easy task finding someone who met up to what I was looking for. But luckily I did! They were very fun, easy going, and even willing to do some of our own ideas! We laughed and joked which made everything for us more comfortable since we all know I am way more comfortable behind the camera than in front lol. The end product was beautiful and we couldn’t be happier to have found them and have them capture our special day for us! Highly recommend choosing Colleen and Greg for your wedding if you want a ton of awesome, fun, high quality images to remember your day by! The biggest regret I have read about having a wedding was the quality of the photography because people wanted to “save money”. The term you get what you pay for” applies 100% to wedding photography and was not something my husband I and were willing taking a chance on. With that said, Collen and Greg are epically amazing! Nothing you plan ever turns out the way you planned but Colleen and Greg make it work and go with the flow. Both are fantastic Photographers and I didn’t even notice they were there most of the day, yet we received amazing photos. My entire family can not stop talking about how wonderful and respectful they were to everyone. We live out of state and they worked around our schedules very well to do our engagement photos and had meetings over the phone. They were very easy going and fun to be around. The biggest honor I can give to them however, is their attention to detail, which if you know me is huge. They got to know us, what was going on in our lives and why it was important and incorporated that into their photography. My family was in shock, and loved it dearly. So thank you Greg and Colleen, for doing amazing job. I know my family and us would recommend them 100% to anyone who needs a photographer. I am 100% happy with the results. 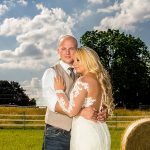 I’m so happy we chose Solas Studios as our wedding photographers. When I was comparing different photographers, Solas Studios stood out with their bright, beautiful colors and heartfelt moments that they caught with their photos. Their prices were also some of the most reasonable I found. After meeting with Colleen and Greg, they seemed very personable and organized. They sent out a series of questionnaires to help make sure they got a good feel for what we wanted. The actual day of the wedding Colleen and Greg were awesome. They were cheerful and relaxed, while still being organized and professional. They seemed like they were having fun and really enjoying what they do. It was nice having both of them there, so many angles and aspects of the wedding were caught all at the same time. 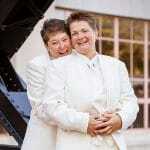 They were also great at getting the formal photos done in a short period of time. While most of their packages include full day coverage, we chose one that had 6 hours of coverage. Unfortunately, it was pouring rain on our wedding day, so we decided to do fewer formal photos. 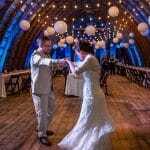 Colleen and Greg were able to get beautiful shots, even in a dark indoor venue they captured gorgeous colors and flattering lighting. They also got some amazing shots of my husband and I in the rain (under umbrellas). Colleen and Greg were willing to get soaked in order to get artistic portraits. They even stayed later in the night to make sure they got a large number of guest pictures too. Overall, out of all of my vendors, I am most happy with my choice of Solas Studios. They are a great team, you can’t go wrong. We cannot say enough about our experience with Colleen and Greg and how beautifully they captured the elements of the best day ever. We felt that we “clicked” with them from our first video chat. We could tell that their passion for what they do, the way they wanted to get to know us as a couple, and all of their creative/unique ideas were just what we were looking for in photographers for our wedding. Solas Studios came highly recommended to us. As soon as we saw their work, we knew we had made our final decision! As personable and fun as Colleen and Greg are to be around, they are equally as professional, organized, and full of wisdom and creativity! Their questionnaire and advice they provided us guided us to think through some critical decisions about how we wanted our big day to be captured. We were always how much we loved working with them and how we couldn’t wait to have them by our side throughout our day! To say that Colleen and Greg went above and beyond to capture our day and help everything run beautifully would be an understatement. They really helped us keep our cool and our focus on what is most important. One of the ways you can see how much passion Colleen and Greg have about their work is to read their blog posts. You can see how they strive to have the individuality of each couple shine through. BOTH posts brought tears, laughter, and all of the emotions we experienced at our wedding back to us as we recounted the moments captured in our sneak peek photos. The shots are even more stunning than we could have imagined. Our friends and family continue to rave about the pictures. Let’s start off with a disclaimer: If you are looking to have a budget wedding in which you are happy to trade the quality of your pictures/experience to save a few bucks just walk away now. These two were fabulous. Words cannot describe the looks on our face when we finally saw our wedding album. We sat there in awe at the attention to detail they provided. Not only did they find our ‘good side’ but they also made each picture look like it was straight out of a fairy tale. The dynamic of both of them is night and day between them. In Greg you find quietness, solace, and structure.. in her you find eccentricity, leadership and direction. Coming to both of them as a client – we knew generally what we wanted – right? We quickly became overwhelmed at the details that go into documenting/picturing your perfect day. They not only knew this, but they were willing to comfort us and give us direction – all without us having to ask. Without rambling on, I truly believe that per dollar this is the best quality you can receive. If that isn’t incentive enough, you get their leadership, personality, and caring for absolutely free. We were very picky clients, who even took the time to dissect their contract (it was good – by the way), and we cannot be more pleased. Do yourself a favor – hire them if you can – before they book up. Colleen and Greg of Solas Studios were the most amazing wedding photographers and then some!! 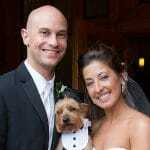 I would highly recommend them to anyone getting married in the New York region (or anywhere else, they like to travel). My husband and I were both apprehensive about having our pictures taken, but Colleen and Greg made us feel so comfortable we knew we made the right choice by going with them before we even saw how our engagement photos came out. 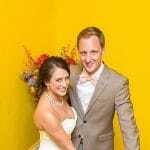 Their wedding package is both affordable and comprehensive. Our wedding was a little unique and they were more than flexible with having to “rough it” a little to capture our Adirondack vision. Their combination of photography styles made for hundreds and hundreds of amazing pictures that made our vision come alive with photographs we will cherish for the rest our lives. We can’t express enough how thrilled we were that we chose Solas Studios for this once in a lifetime experience! 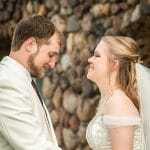 I am a wedding planner, and my husband a professional wedding photographer. Therefore, you can imagine how difficult it was for him to find a photographer for our wedding! My husband and I are wedding professionals ourselves. I am a wedding planner, and my husband a professional wedding photographer. Therefore, you can imagine how difficult it was for him to find a photographer for our wedding! When we met with Colleen and Greg, they were so patient and understanding while they answered every question (there were a lot). They are a confident, professional, extremely talented, fun to be around husband and wife team. Together with Colleen’s awe inspiring detail shots, and Greg’s astonishing landscape shots, the “sneak-peak” that my husband and I received took our breath away. We knew that we had chosen the right team to capture some of the most important moments of our lives! Thank you Colleen and Greg for helping make our day exactly how we pictured it! They knew our schedule and stuck to it, and were great with coming up with a plan B when it rained! Colleen and Greg were wonderful and super easy to work with. We planned our wedding from out of state and they coordinated in-person meetings when we were in town and arranged several phone calls to plan our special day when we couldn’t be nearby. I definitely encourage an engagement session, it helped us get to know them and them to know us so there were no surprises on the wedding day! Besides the amazing photos, I LOVE how we planned EVERY MINUTE of our wedding coverage so neither of them missed a beat. They knew our schedule and stuck to it, and were great with coming up with a plan B when it rained! The photos turned out gorgeous, and they are continuing to work with us in a very timely manner to get us the prints and photo album we want. We wholeheartedly recommend them!!!! Other wedding vendors have nice things to say about us too! They get the needs that a couple has on their big day – perhaps because they are a sweet couple themselves! 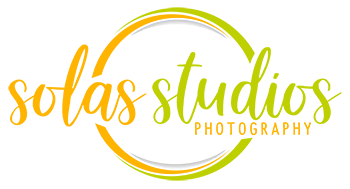 I’ve had the pleasure to work with Solas Studios several times, and always breath a sigh of relief when I see their names! They “get” the needs that a couple has on their big day – perhaps because they are a sweet couple themselves! They capture the fun, the details and do it all with professionalism and ease. I have never seen more beautiful pictures. You capture the moments in time. Absolutely outstanding work. The pictures of Alison and Shane’s wedding were remarkable. I hope to work along side of you again soon. After having worked with Colleen and Greg from Solas Studios at many weddings now, it’s easy to see why they’re so highly respected in the area. They are the complete package! Always wonderful to coordinate with, and their photography is second to none. Obviously their pictures speak for themselves, but I can’t say enough about how talented they are. Breathtaking photos that truly capture the vibe of the day! I highly recommend Solas Studios.